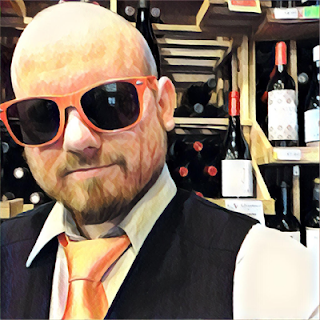 Today I'm reviewing their 2012 Arbitrage Cabernet Sauvignon. 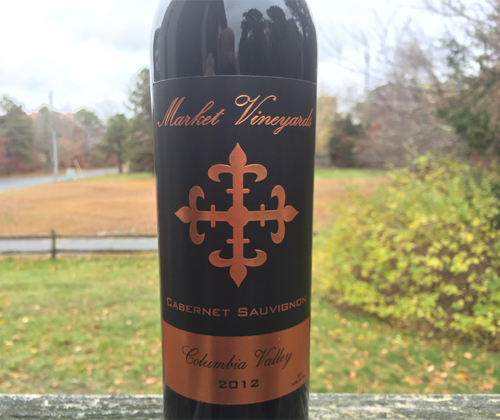 It's 100% Cab from Columbia Valley; 50% Shaw Vineyard, 33% Discovery, 17% Weinbau Vineyard. The Arbitrage has a 14.8% ABV, and it's pretty high production for this winery with 438 cases being made. It's one of two Cabernet's that I'm reviewing by MV, with their higher tiered Acquisition Cab coming up on Sunday. I'm a huuuuuge hockey fan so tonight I'm watching my Bruins. I literally have no idea what's going on in any other sport right now. Every Monday I'm reminded that the Patriots played the day before when customers try to talk to me about it. I didn't even know the World Series was happening until it was three games in. There is nothing that I watch or read that would inform me of those things. I'm a sports hermit. Except when it comes to hockey. Man, the Bruins are playing great. It's good to see, with the last two seasons being the kind that would make me pull my hair out if I had hair. 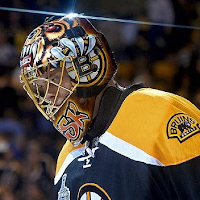 I'm okay with the Bruins sucking; I watched every game when they were in the basement for awhile there before Claude. I'm die hard. But the last two seasons they were an unstable team with a record good enough to be playoff bound in the final weeks, only to completely collapse and fall out in an embarrassing fassion. Two seasons in a row they choked. Not good enough for the playoffs, not bad enough for a good draft pick. But now they're working as one cohesive team with the willpower and desire that was missing. 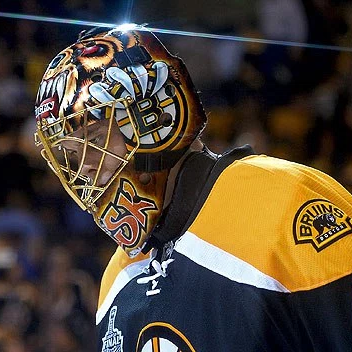 And Tuukka Rask has been incredible! Tuuk got his game back! My boy! Go B's! Enough with the schports and on with the wine, eh? The color is more on the purple side of the garnet spectrum, and it's probably the least dense looking of wines that I've seen from these guys (other than their one white, Liquidity). I mean, it's not like you can read through it like a Pinot Noir, but it's not that light-absorbing-black-hole that the rest have been. At first the only thing I'm getting off the nose is cedar so I give it a good aggressive lengthy swirling. The results are aromas of Nestle Quick chocolate syrup, black cherry, grape jelly and cedar. It's full bodied, grainy and sandpapery in mouthfeel, with chewy tannin and rollercoaster acidity. There's flavors of black cherries, plum, cranberries, cold brewed coffee and black pepper. It finishes with saliva pumping from the corner of your mouth, unable to wet a tannin assaulted tongue. I thought the Arbitage is a bit harsh. But that's simply because this wine really needs some time to bottle age and find some balance. But the potential is there to be one hell of a Cab. And even though I feel it should be more like $28 instead of $32, after a few years of letting it sit you won't mind paying those extra dollars.